Feel the hot summer in Minecraft PE right now with the Summer Dream. This pack is a filter in some way, as all the vanilla textures will remain in their places but with a slight change. 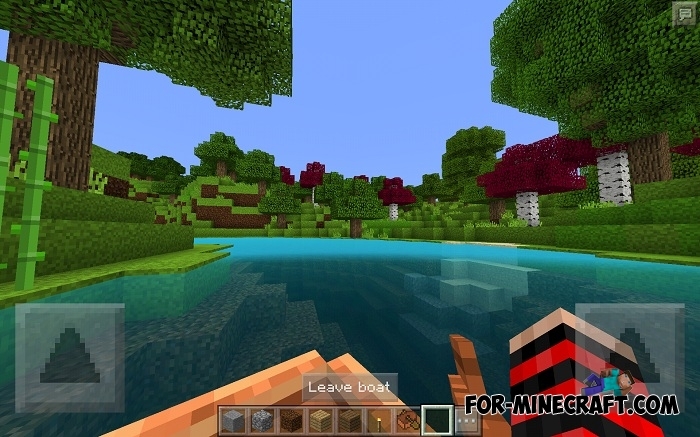 If you compare the screenshots of Minecraft before and after installing this texture pack, then clearly notice the sharp lightening and high brightness of everything that surrounds you. Most of this applies to grass and trees, to everything plant. It would be nice if you also download a realistic shader to the Summer Dream pack to fill the world with new colors. How to install the Summer Dream textures?